To all these naval architects, designers, artists and engineers who have worked for Everitt Design Group over the years to make it what it is today and to help produce many memorable projects. John Stafford Billings, Paul Sitton, David Dry, Jon Sanders, Alex Laird, Peter Wouda, Claes Randholm, Julia Dane, Nick Butcher, Paul Atkins, Tim Sparling, Vincent Gaffney, Richard Hames, Marcus Evans, Jason Kerr, Chris Everitt, Ralph Peterson, Will Hardcastle, Nigel Colley, Peter Nunn, Chris Sherlicker, John Corby, Michael Fraser, Chris Frampton, James Carley, Chris Locke, Rupert Symons, Michael Blandford, Sydney Rawlings, Chris Gunter, Roland Whitehead, Christian Stimson, David Shieh, Ian Furniss. And of course to all the manufacturers, boatbuilders, equipment suppliers, sailmakers, sparmakers, riggers, copy writers who have helped bring all of our drawings, sketches and doodles to life. And all of our owners, past and present, around the world who, we hope, have enjoyed our work. Could this be a foretaste of the 2018 Sydney Hobart record breaking, line honours machine. Quite a challenge for the ex owner of the 100ft Comanche, but not impossible to imagine that this could happen – even as part of an America’s Cup development programme! Interesting, as they are, the development of foil assisted, swing keel monohulls may become redundant in an era of foil born, ‘keeless’ monohulls. For me, an offshore capable version of this concept is not impossible. I might add twin rudders with foils and a fully retractable forward canard foil (for fore and aft stability control). Maybe turning the ‘Hobart’ into a day race………. I do hope the New Zealander’s haven’t scored the biggest own goal in America’s Cup history with their 75ft foiling monohull concept. And what’s more, New Zealand have history in the department of ‘own-goals’ in choosing the type of boat they would like to compete with. Remember the ill fated 90ft waterline monohull that Michael Fay hoped to hijack the Cup with in 1988. It was repulsed very effectively by, of all things, a multihull sailed by Dennis Conner. Being able to stipulate the rules under which the Match takes place doesn’t always guarantee success. The Kiwis were very smart not to get involved in the politics of the last Cup, that tried to guarantee rule stability. They believed they could win and they didn’t need to dilute their effort with dubious help from the defender and the other challengers. And their reward for winning has, as a result of not signing the protocol, not only given them defender rights, but has allowed them to completely rewrite the rules of engagement for the next AC battle. This, believe it or not, is a ‘first’ in America’s Cup history. True, the Kiwi’s had the support of the challenger of record, Prada – a team that wanted no truck with the last catamaran event, who were fully supportive of the Kiwi defence plans as long as a monohull was employed. But never before has a defender taken on the responsibility of creating a whole new style of boat. When the IAAC’s replaced the 12 metre it was a committee decision extraordinaire and was simply an evolutionary concept. Similarly the foiling AC 50 cats were an evolution of the AC 72 cats – originally conceived under a rule that was specifically written to prevent foiling! Just shows how vulnerable the rule makers can be! Watch out New Zealand – one of the challengers will come up with something you could never imagine and that will be curtains for your defence. 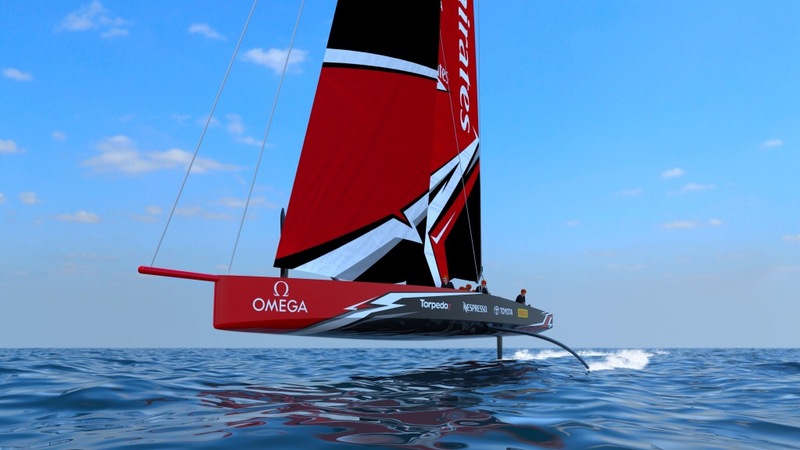 Oracle created a stunningly original ‘challenger’ in 2010 with a 230ft high wing sail trimaran. But she was a product of the bizarrely simple 90ft waterline rule – deemed effective by the Deed of Gift that was drawn up after the Americans won the Cup in 1851 – and she didn’t have to sail against any other challengers. It has always been a fatal error to design race courses to suit the boats rather than the other way around. Even in the relatively mundane and stable world of ocean racing – the biggest ‘nail-in-the-coffin’ of the Admiral’s Cup was the introduction of the Mumm 36 and because none of the crews wanted to do a 600 mile offshore race in such a boat, the iconic Fastnet Race was dropped from the programme. 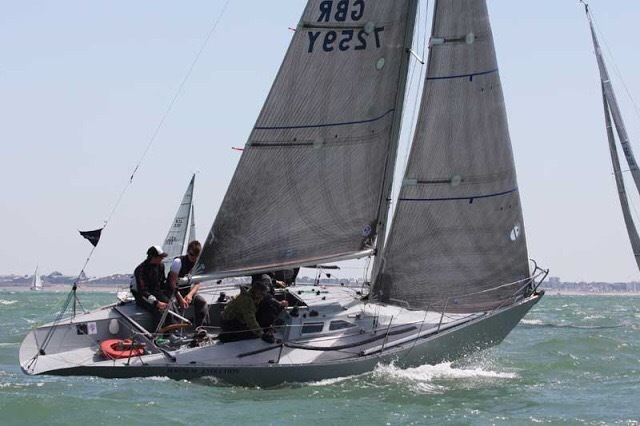 It proved to be a fatal error for the entire event, demonstrating that tailoring race courses to suit the idiosyncrasies of the competing yachts can seriously downgrade the competition. The adherence to ‘conventional’ style yacht racing courses is fundamental to the success of the America’s Cup. Foil born, or not, what the America’s Cup is, is a yacht race. And yacht races need legs to windward, downwind legs and even reaching legs! Now at this early stage of the Cup cycle it’s a pretty big ‘if’, but ‘if’ the hull development remains open and the boats are required to make conventional upwind starts then the development opportunities and therefore costs of the hull, in particular, are going to be enormous. Dennis Conner – not only a four time winner of the America’s Cup, but something of any expert about campaign costs has estimated that a full on assault for the 2021 AC could cost as much as 200 million dollars. Given the blank sheet of paper presented to designers offered the opportunity to create a machine for this event, he may well prove to be correct. The alternative, of course, is that all the development money in the world will count for nothing. Depending on the actual amount of design freedom given in the hull design rules and the choice of race course and wind limits, the winning design could come down to who produces the most original concept sketch. The Kiwis may, of course, chicken out when they realise what a development giant they have unleashed. A One Design hull would spike 60 per cent of the development opportunity while reaching (therefore foiling) starts and a wind limit of over 6knots would do much of the rest. But if this is the way the rule evolves due to a panic about spiralling costs, then it will be a sad day indeed. More to the point, if the development of this new monohull concept is restricted, they might as well have stuck with the AC 50 cat. Let us also hope they stick with upwind starts and the inevitable by product of dial ups and down speed manuevering. This will ensure the boats are not always foil born and create the wonderful design dilemma of creating a boat that becomes foilborn, from a standing start, as quickly as possible. It’s for this reason that the reaching start evolved for the Bermuda event. No ‘tedious’ slow speed antics to spoil the ‘thrill’ of non stop foiling – a feature considered to be the highlight of the last America’s Cup, but a perfect example of designing the race course to suit the boat. Bad idea! Hopefully the Kiwi’s will keep the ‘hull’ design free, keep windward starts and allow racing in a large wind range. If they do then expect the new AC class to look very different to the images so far revealed. My imagination knows no bounds. Just waiting for the call – this really is my territory.